This year’s conductor, Allan Ramsay – Director of Music at ...Co-operative Funeralcare Band in Scotland - has picked what’s arguably the most entertaining and ambitious program the band has ever attempted. Bolstered by Owen Garbutt - Eb Bass player at Hammonds, Jamie Smith - Principle Cornet at Hammonds and Dr Richard Rock - Resident Composer at Faireys - the band will play an eclectic range of music in a program that promises to have something for everyone. 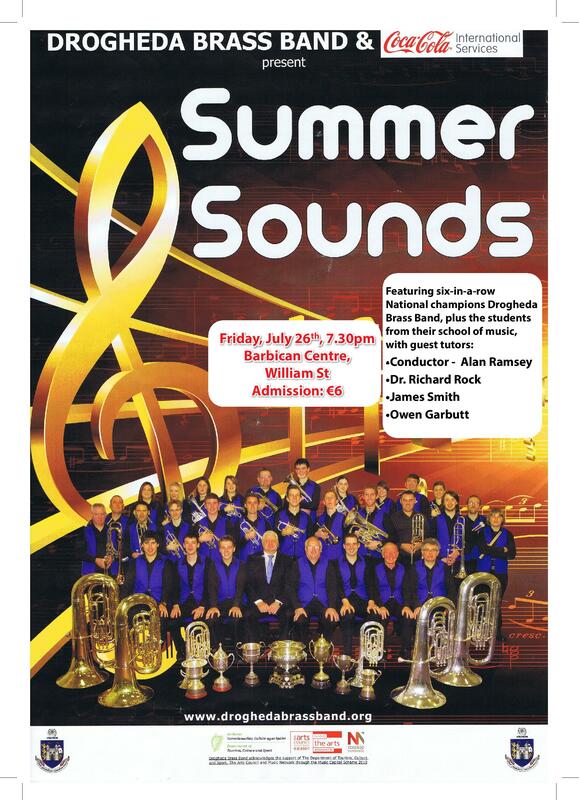 In addition the excellent Drogheda Youth Brass Band will take to the stage at the interval under the baton of Owen and Jamie. Allan Ramsay will take the senior band through an exciting program.